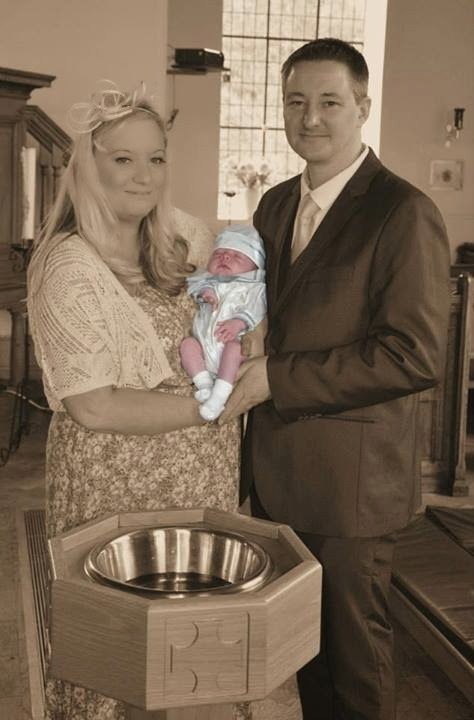 Christenings, for me, are an important occasion in a childs life and one that should be celebrated. Of course not everybody has their child christened and I'm a firm believer that it's something you should only do if you feel inclined to do so...not something you do because the outfits are cute, you want the gifts or a party sounds fun. We had Tyne christened quite early at just 4 weeks old. Its become a family tradition for all of us to be christened at the local village church where I'm from back in Liverpool. Myself and my sister were christened there, and my sisters children were Christened there too...so of course I wanted Tyne's Christening there too but we were moving back to Devon so it needed to be done soon. This meant I didn't have a great deal of time to plan it all, but it went well anyway. I didn't want to use the village pub, so instead I opted for the old youth centre which is a picturesque old building with lovely high beam ceilings. We had around 60 people there, and we served fayre style food in the form of hot dogs, candy floss, jacket potatoes with various fillings, and of course cakes and salads etc. There was no bar in the hall, so we put wine on the tables. We also hired a vintage style candy cart for the children. 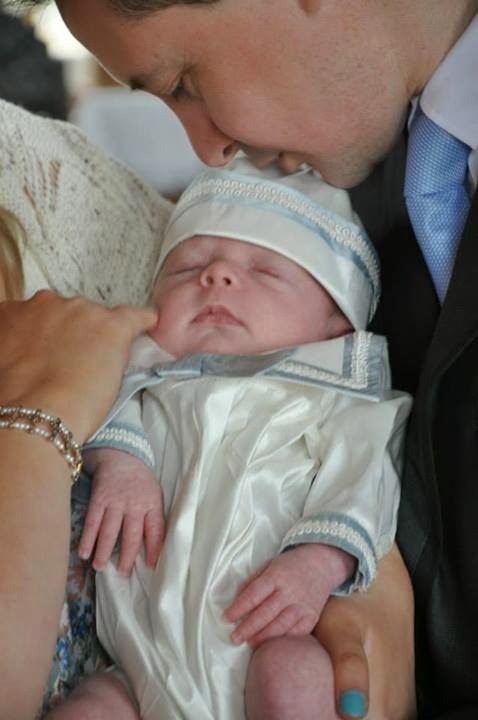 Tyne's christening outfit was by Sarah-Louise, and I absolutely loved it...it was in the smallest size they do but it was still much too big on him. He was so tiny! 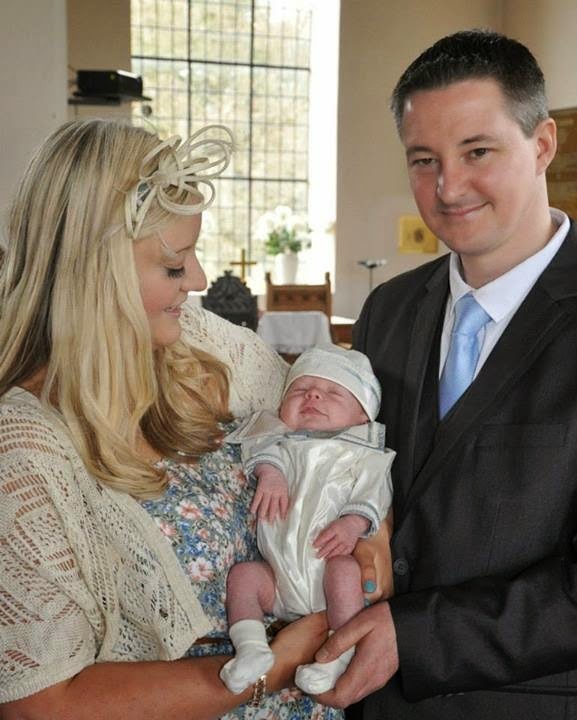 We thoroughly enjoyed Tyne's christening day, it was perfect for what we wanted. *Organise the service first - There's no point in trying to arrange anything until your Church service is secured, as Christenings are usually done on certain days and so they can book up months in advance. *Check your guests dietary requirements - Make sure you check if your guests have any specific dietary requirements, and be sure to cater for children too. *Consider buying food pre-prepared - If you're concerned about time restraints, it may be worth considering buying pre-made sandwhich platters. Places like Costco offer beautiful platters at very reasonable prices for these sorts of occasions. *Make sure there's somewhere for baby to nap- With a young baby, all the attention and fuss can get overwhelming quickly. Make sure you have a pram or similar with you put to a quiet corner for baby to take a nap. *Take lots of photos - With events such as Christenings, you are often so busy being the hostess and mingling with everyone that you forget to capture the day in photos. We were very lucky that my cousin is a professional photographer and took some gorgeous shots for us...Perhaps ask a friend to take charge of your camera and take snaps for you, or perhaps leave some disposable cameras on the tables for guests to take some photos.